My Book Inspired A Makey-Makey Maker! So many cool things have happened as a result of the writing/publishing of DOLL-E 1.0. I am so humbled to be a part of a circuit of creatives! So many hands touched this book from its conception to birth … critique groups, editors, art directors, publicists, my husband, my kids, my mom, sales departments, educators, librarians, bookstores, etc.! And now another creative hand has tinkered with this book and made its existence even cooler … a real coder and “maker” … a girl named Colleen Graves! 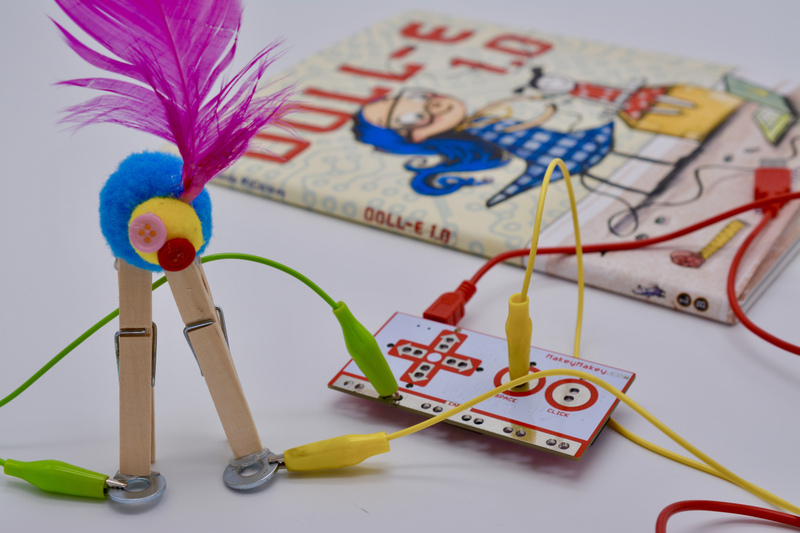 She creates activities and guides for Makey-Makey (that appears multiple times in the illustrations of Doll-E 1.0). 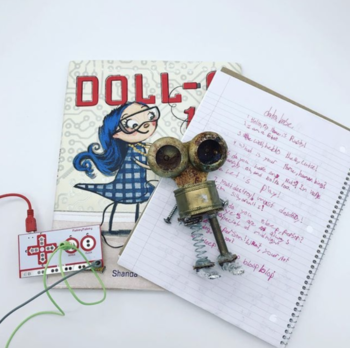 So, Colleen was charged up to create an activity guide for creating your own doll or robot from spare parts and a Makey-Makey, then adding words to its database using Scratch! It. Is. RAD!